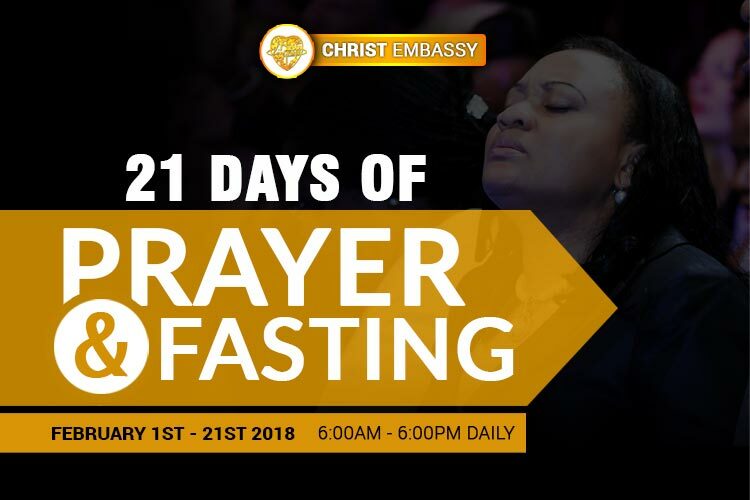 Thursday, 1st February 2018 marks the beginning of twenty-one days of Prayer and Fasting in the Believers’ LoveWorld Nation and Christ Embassy Churches in Nigeria. Every day, from the 1st of February to the 21st of February, brethren have been called on to pray and fast from 6am to 6pm (GMT+1), congregating at their local assemblies at 6pm GMT+1 daily for a time of corporate prayers. The prayer and fasting times for Saturday are at 6am (corporate prayer) till 4pm and on Sundays, brethren meet in their churches at 5pm GMT+1 to end the fast for the day. It would be a time of refreshing in this Year of supernatural; a time to make tremendous impact in the country.